I live in a pretty eclectic area. There’s an abundance of Vietnamese, Thai and Cambodian restaurants; used clothing stores litter the boulevard; a patchwork of people cruise the streets at all hours. Mike and I take Rusty on frequent walks through the neighborhood, enjoying the snug craftsman houses and lush yards packed with native plants, as well as the colorful rush of humanity. A few weeks back, we first discovered the record store. A tiny closet of an establishment, it sells used music from the ages before iPods and streaming. The scruffy proprietor agreed Rusty could accompany us into the shabby looking store, and we split to divide and conquer. The presence of music from my childhood immediately charmed me. The Rise and Fall of Ziggy Stardust and the Spiders from Mars. All the Rage. The Lamb Lies Down on Broadway. Even the I Wanna Dance with Somebody single my mom used to put on while sweating it out with Jane Fonda in the living room. Mike, on the other hand, went right to the 8-tracks. “Yes,” I replied, wandering over. “Man, I used to sit and listen to music for hours on that thing,” he said, hypnotized by the square cartridges that now belong to folklore and age-based jokes. Since I’d already regaled him with stories about my parents’ rather intimidating record collection, I went back to thumbing through stacks of faded albums. 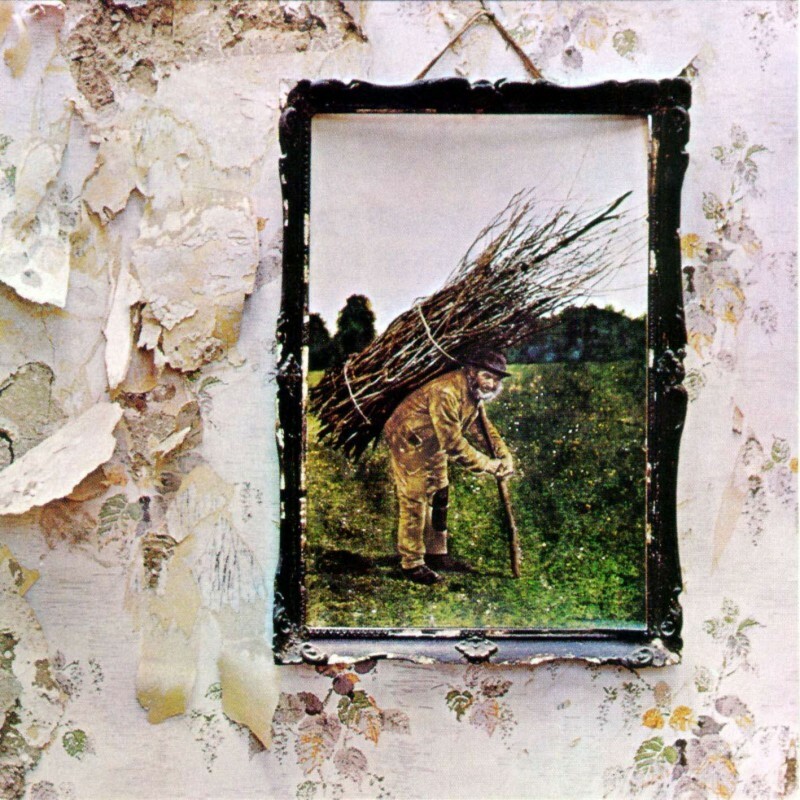 I felt a little smile play at the corners of my mouth, remembering the first time I put on Led Zeppelin’s IV, finding “Battle of Evermore” and “Stairway to Heaven” in the grooves. We weren’t allowed to touch the record player, but at fifteen I had little use for rules, especially ones having to do with music. Thus, when I chanced to have the house to myself I’d play songs you couldn’t really hear on the radio anymore, fascinated with the pops and crackles imbedded in the music. After we’d left, we both silently continued on our walk, each wrapped up in our cozy memories of youth. As I considered returning to pick up used copies of Vs. and In Utero to replace my tape cassettes, a thought interrupted my mental filing system. “Yeah, maybe,” I said, unconvinced. I mean, sure we were charmed by the place, but we didn’t buy anything. I couldn’t imagine out of date technology, no matter how cool, could be a lucrative trade. “They probably deal drugs out of the back,” I said, half-joking, half-not. I guess you can put a price tag on nostalgia, I thought to myself. Led Zeppelin IV. I didn’t understand how over-played “Stairway” was until much older. I was just going to write a post about my local record store! I’ll probably get to it later tonight but in the meantime, I think the owner of mine sells a lot online to collectors to offset the meager foot traffic. Oh, I’m sure ours does something similar. Mike & I make a lot of jokes about drug dealers because we watch too much Breaking Bad. If I was money laundering, I’d definitely set up a record shop rather than a car wash! It’d probably take about a year to launder $100, though. Yeah, record store is definitely the cooler (albeit, less practical) way to launder money! I KNOW. I wish the markets were friendlier to niche businesses, but there you have it. Black market ritalin. I haven’t seen 8-tracks in ages! My parents’ first stereo system that I remember from growing up had both a record player and 8-track player. Plus, our 1970 Ford pick-up had an 8-track player, too. My poor parents suffered through my love of the Rolling Stones, but they drew the line at AC/DC. So I played those albums when they weren’t home. Tamara T. recently posted…What do you do? Agh, I remember storybook records!! We used to listen to SO MANY when we were little! Oh, there was something about the way a record felt that just made me feel like I was handling a secret. CDs and downloads don’t have that weight. those were the days… :)i love it and remember it well. and, is this music week, yours is at least the 5th post i’ve read today with song. I still have a box or records that I can’t play but won’t throw out. They’re hard to get rid of, huh? I miss records. I used to love looking at the artwork and reading the liner notes while I listened to the music. Yes! They were so entertaining! My record player is broken, so my records just sit in the garage aging. I do miss the sound. Abbey Road by the Beatles is nowhere near as good on CD as it is on my record. But I can’t justify buying a $100+ record player, when I also need a CD player, a subwoofer, etc. Digital music has made me accept subpar music. The audiophile in me cries, but the cheapskate just accepts it. I do love used music stores, though. Always a good find. Chris Plumb recently posted…To Tip or not to Tip, That is the Question. I finally got a record player again a few years ago after lugging my record collection in milk crates from place to place for almost two decades. So great to hear those pops and hisses again. I spent a lot of time in my teenage years in a used record store called “Integrity and Music.” How great is that name? The owner got to know my tastes and would set aside out-of-print gems for me. I love little stores like that! There was a tiny used bookstore on my old block in Manhattan, and I am 100% sure that the only way they were still open was because they were dealing drugs in the back. Ha! Those small places are the best for shopping. They have so much soul. Too bad the current economic climate isn’t conducive to small-businesses. I loved my 8 track player. I played Fleetwood Mac and the Eagles often. Fleetwood Mac = the best. I liked listening to Fleetwood Mac and the Eagles on my 8 track player. It sounds like you found an interesting store. Haha! Those last lines are so funny. And I’m sure the sensory…bonus only made accentuated the experience. 😉 I hardly ever see mom & pop record stores anymore and I miss them. Ahh…Battle of Evermore…great, great tune. We both have Led Zep on the brain this week! I love the way you described the experience of listening to music on vinyl. Well said and spot on. Nothing like that crackle. When I was a kid, we had a combine with an 8 track player. I had one of those convertor things so I could play my cassettes in the darned thing. Now I’m thinking about digging through my moms old record and 8 track collection of mostly ancient country western singers to see if there’s any gems in there I’ve forgotten about. I love getting nostalgic about music. My dad always used to play Elvis in the car, so that’s my childhood music. Even though all my friends say I’m too young for that haha. We have a store where I live that sells records – but they also sell CDs as well so that’s probably how they keep in business. I don’t think many people even own a record player anymore. I think even my Grandad got rid of his recently (my Dad has introduced him to CDs and DVDs so all his old records and video tapes have got to go!) That last part was hilarious. Larks recently posted…Book Review: Mortal Instruments Trilogy. Not for me, though. I’m a purist. 🙂 (about music, if that wasn’t clear, lol).